When you delete any file or folder from your computer, it moves to the Windows Recycle Bin. This is easily recoverable. If you empty the Recycle Bin, the data still remain on your hard disk? 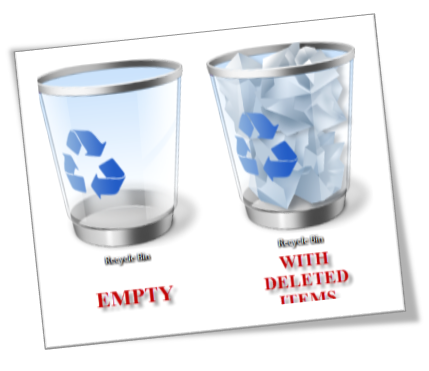 In many cases, deleted files can be recovered with little effort because most computer operating systems will only delete links to the data so they no longer appear to you, but the actual data remains on the disk. Getting access to the deleted data is as simple as restoring the links. When you delete files or folders, the data are not initially removed from the hard disk. Instead, the space on the disk that was occupied by the deleted data is “deallocated.” After it is deallocated, the space is available for use when new data is written to the disk. Until the space is overwritten, it is possible to recover the deleted data by using a low-level disk editor or data-recovery software. To permanently erase files and prevent your confidential files from getting into the wrong hands, Microsoft offers a free command line utility – SDelete (Secure Delete) – that overwrites all the free space to prevent data recovery. You can use SDelete both to securely delete existing files (replacement of delete), as well as to securely erase any file data that exists in the unallocated portions of a disk (including files that you have already deleted or encrypted). Download the Microsoft command-line tool SDelete. Here’s how to use this tool. 2. Navigate to where you have SDelete downloaded. For example, if it’s located at C:\cmdtools, type cd C:\cmdtools, and press Enter. 3. Now type sdelete <path to file or directory>, and press Enter, where <path to file or directory> is a standard Windows path. For example, to delete C:\mysecuredata.txt, you would type sdelete c:\mysecuredata.txt, and press Enter. 4. Once they’re deleted, you will receive confirmation that your files or folders have been permanently deleted, and you’re done! If you are already using CCleaner, you should know that it contains a Drive Wiper. 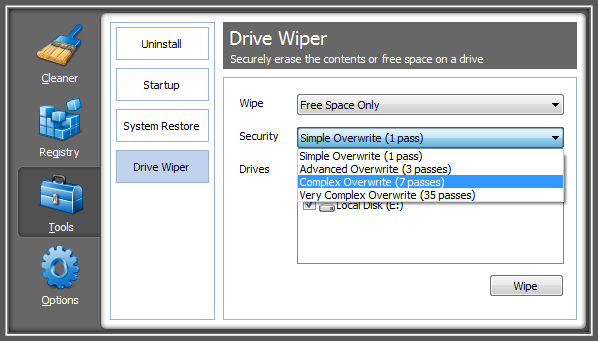 Open CCleaner and go to > Tools > Drive Wiper. You can wipe only free space or the entire drive, and you can choose up to 35 passes, meaning data will be overwritten with random strings of binary code 35 times. This very complex overwrite should make it impossible for anyone to restore the data originally saved in this space. When you’re happy with your settings, click > Wipe and wait patiently. Eraser is a freeware and open source security tool to completely remove data from your hard drive. It can overwrite data several times using randomized patterns of binary code. It essentially is a file shredder. Eraser is more convenient than CCleaner’s Drive Wiper because it can delete and shred single files, rather than just wiping all free space on a drive, and it is integrated with Windows Explorer (right-click menu). 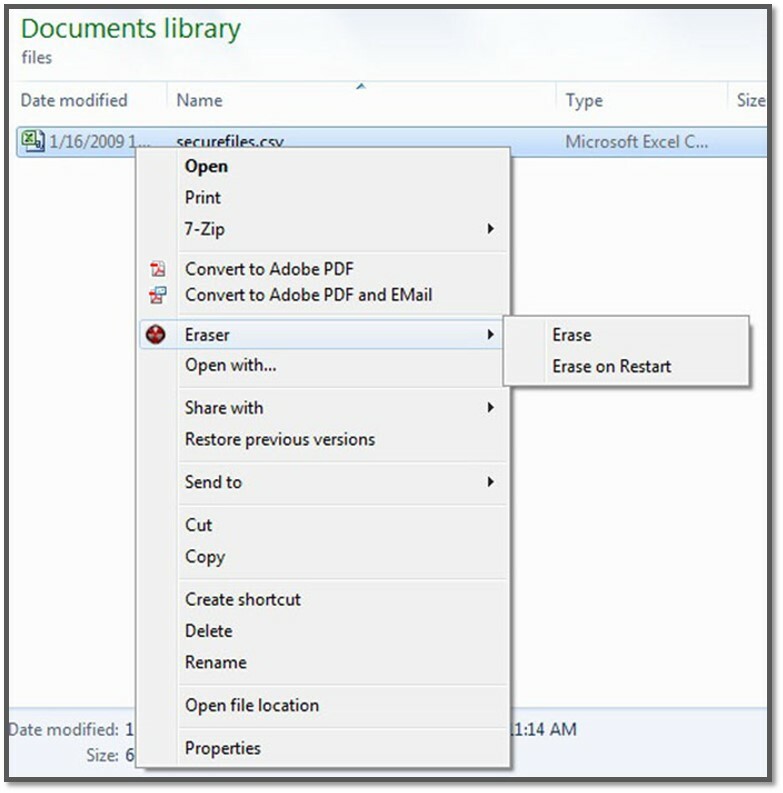 Moreover, Eraser provides you with a host of advanced settings, for example, different file and space erasure methods, the option to replace erased files with other files to allow plausible ‘deniability’, and schedule erasure of files, folders, recycle bin, or unused disk space. Whenever you want to securely erase your data, follow these steps. Navigate to the files or folders that you want to securely erase. Right-click on the files and/or folders and an Eraser menu will appear. Highlight and click Erase in the Eraser menu. 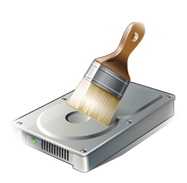 Active@ Kill Disk – Hard Drive Eraser is a free utility for securely erasing a hard drive. More importantly, this utility adheres to the United States Department of Defense standards (DoD 5220.22M) for hard disk data removal. DBAN, as it is shortened, is a nice little application that lets you completely erase your data. Download the ISO for your system and burn it to a disk. Next, pop the disk into your hard drive and boot from it. This may require you to press F12 at the BIOS screen (the first screen you see when your computer boots up) and choose to boot from your CD/DVD drive. Press Enter to run DBAN in interactive mode. 1. Use up and down arrow keys to highlight the drive to wipe. 2. Press the space bar to select the drive. 3. Press M to select the wiping method. 4. Press F10 to begin the wipe process. Note: if DBAN is unable to recognize your SATA hard disks, configure your system BIOS to use IDE mode rather than AHCI mode. Now that you have the right tools for the job, you can feel confident in knowing that your data has actually been removed from your hard disk and will no longer be recovered by anyone (not even by you).